Trigger Agency's Beer, Bourbon & BBQ event is a day of feasting and revelry! 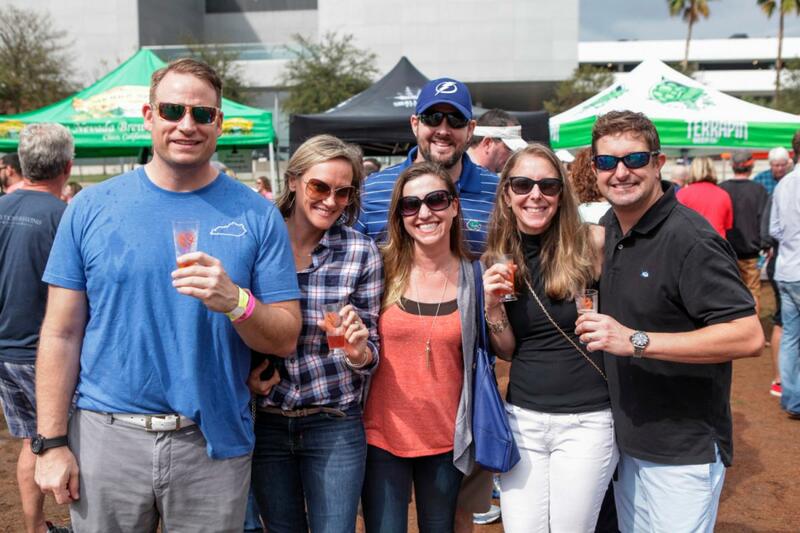 Rain or shine on February 16, Curtis Hixon Waterfront Park will host this popular event. It's an occasion that no fan of good old-fashioned southern comforts should miss. Note that they're serious about enforcing the 21-plus rule, though, so younger college students will have to wait a few years. Those of you who are of age should consider booking your passes early, while there's still room. Participants might want to think about skipping breakfast. A multitude of barbecue options will be available, from classic ribs and pulled pork to beef brisket to chicken and sausages. A gaming area, featuring outdoor favorites like corn hole, beckons participants to work off some of those calories, while live music provides a vivid backdrop to the fun. The event offers two different points of entry: The VIP Bacon and Whole Hog package, which runs from noon to 6 p.m.; and general admission, which begins two hours later. (Note that last call comes at 5:45 p.m. sharp.) A general admission pass allows for entry, one tasting glass, unlimited samples of all the fine spirits and malt beverages on offer, and access to the live entertainment. Those who spring for the VIP Bacon and Whole Hog pass will receive all of the above, as well as the aforementioned early entry with exclusive access to the VIP area. This tent will feature more than a dozen tasting stations, all offering delectable fare from area restaurants. The VIP pass costs $75 for a single admission, but bulk discounts are available for groups of two or four general admission is priced at $40 per person. A military discount is also available. Beer, Bourbon & BBQ will distribute a portion of its proceeds to the Spirit of Hope Children's Foundation. To learn more about this nonprofit organization, visit its page on our site here. If you thought you'd have a hard time finding things to do in Tampa, this shindig is here to prove you wrong. Bring cash and a photo ID, but leave the umbrellas and tents at home to allow everyone a view of the action. Service dogs are welcome with proper documentation, but weapons and outside alcoholic beverages are prohibited. Find more events in Tampa by registering on 813area, your free guide to everything in Tampa.